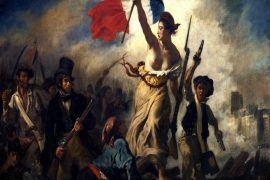 Choosing museums to visit in Paris can be a bit overwhelming, especially when you realize that they are more than 130! Most of these museums are not only important due to their masterpieces, but they are also considered historical landmarks in Paris, some of them, like the Louvre Museums is located in the sumptuous building that used to house the French royal family, before being turned into, what is today, the biggest museum in the world. Others, like the Petit Palais, were built for the 1900’s Universal Exhibition and are one of the few buildings built to the event that were not destroyed after the fair, and are still being used today, housing the City of Paris Museum of Fine Arts. 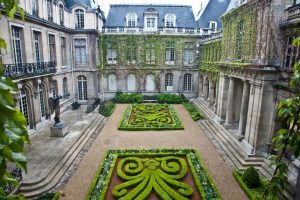 Paris has some of the most important museums in the world, and in this list of the most important museums in Paris, I only included must-sees. Indeed, in Paris, there are museums for all kind of people and all kind of interests. 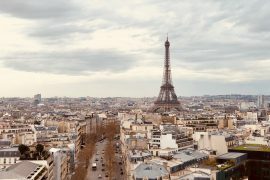 To visit all of them you would need a lot of time, but if you are visit Paris for just a few days, you might want to pick the most important and famous ones and make a quick visit. 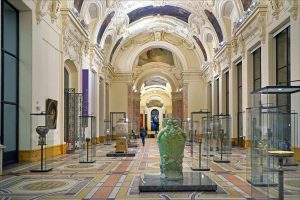 To help you choose the must-visit museums in Paris, here goes a list of 10 museums you just can’t miss! Not a surprise to see it on the list right? Louvre is the biggest and perhaps the most famous museum in the world. With an impressive collection of more than 380,00 items, Louvre has a bit of everything and every period. If you are a fan of history and art this is a must, but bear in mind that Louvre is huge and will take you at least one day to visit it, but more than that if you want to see room by room. Well, we can classify Orsay as the second most important museum in Paris. Housing important pieces such as The Gleaners by Millet, Whistler’s Mother by James McNeil Whistler, Bal du Moulin de la Galette by Renoir , and Self-Portrait by Van Gogh, Orsay has a heavy weight in the artistic world. Located in the Place de la Concorde, really close to Louvre, Musée de l’Orangerie is a art gallery exhibiting impressionist and post-impressionist paintings, famous by its murals painted by Monet, the gallery also contains works by famous artists like Picasso, Modigliani and Renoir. The museum is divided in two different sites, being one the old house of the artist and the other, in his old workshop. 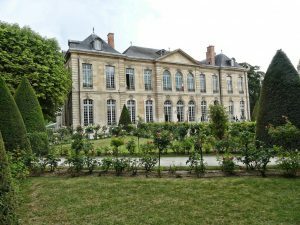 The museum’s collection is dedicated to Rodin, and includes his famous pieces like The Thinker, The Kiss and the Gates of Hell, as well as some paintings by Van Gogh and Renoir belonging to the personal collection of Rodin. This museum is dedicated to the history of Paris, it shows the transformation of the small village known by the Romans as Lutéce, to the Paris we know today, passing through different period of time, such as Medieval Era, the Renaissance, the French Revolution, and the Paris of the 20th century. Some of its pieces includes personal belonging of Marie-Antoinette, Napoleon’s favorite case of toiletries. Are you a fan of the Medieval Era? So you must visit Musée de Cluny, also known as Musée du Moyen Âge Paris, its collection consists of Medieval Era art, mainly religious art. Its building is one of the most well preserved medieval building in the city and used to be the townhouse of the abbots of Cluny, although it was built using the original structure of a third century Roman bath. It is a complex building that houses the Public Information Library, the biggest museum of modern art in Europe and the center for music and acoustic research. Center Pompidou is famous by its eccentric high-tech building, that stands out from a distance and deserves admiration. 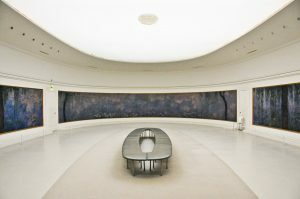 The museum itself focus in modern and contemporary art. 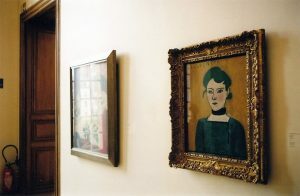 It is located in the Marais and is completely dedicated to the works of Pablo Picasso. It contains a huge collection of painting and sculptures made by Picasso, in different technics used by the artist and from different period of his life. 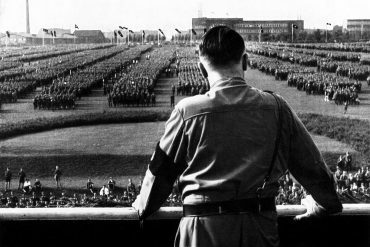 In total, the museum has more than 5,000 pieces. Besides pieces by Picasso, the museum also keeps different painting and sculptures by different artists that used to be part of Picasso’s personal collection. 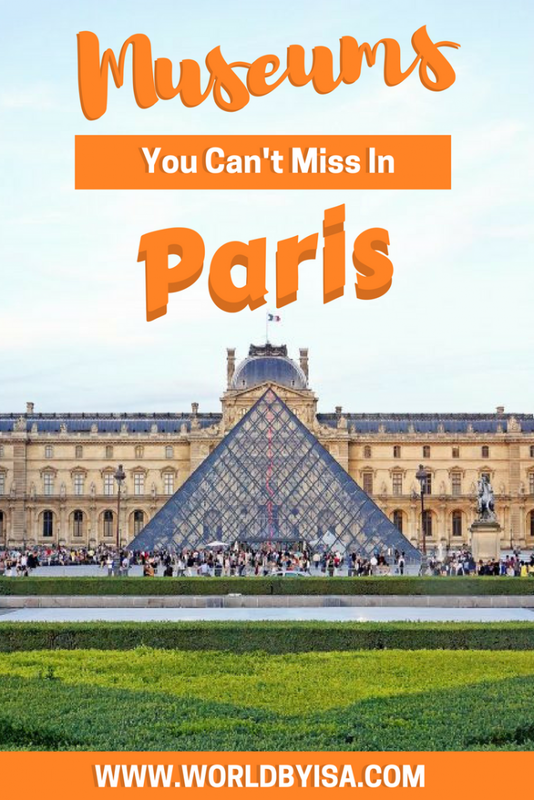 Its building was built for the Exposition Universelle of 1900 and nowdays houses the Paris Museum of Fine Arts, its collections includes paintings and sculptures of famous artists like Rembrandt and Monet. The museum is located in what used to be the private home of Édouard André and his wife, Nelie Jacquemart-André. Édouard came from a banking family and as an art admirer, he spent his life buying works of art, many of which where brought from Italy, making Musée Jacquemart-André the finest collections of Italian art in France. After the death of her husband, Nelie completed the decoration of the mansion and passed it on to the Institut of France to be transformed into a museum, giving the world a glimpse of how the Parisian high society used to live. I have never been to Paris, but my best friend went there with his culinary class and loved it. If I ever visit Paris, many of these museums would be on top of my list. I love visiting museums! Love this! We would absolutely love spending some time museum exploring in Paris. Love this post!! So many great recommendations! Paris is on my travel bucketlist! I’m bookmarking this for future use. It is my dream to visit Paris, and I love museums anywhere so this post is soooooo amazing! Paris is on my wishlist. Such beautiful architecture in these places! This all looks great, thanks for sharing these ideas! Thank you Beth! Paris is definitely beautiful, I too love its architecture!! I started reading this post thinking, “oh I will probably only see one or two I would be interested in.” However, all these look so pretty and fascinating! Thank you for sharing. Definitely! Paris has so many interesting museums to visit, it is not just a list of random boring museums, it actually has many worthy visit museums! Paris is on my wishlist. I love visiting museums! Love this post!! I’ve been to three museums on your list: The Louvre, Musee d’Orsay and Centre Pompidou. Next time I’d love to see some of the others on your list, Le Petit Palais and Musée Rodin would be my next choices. So much to see and do in Paris! Let’s hope the recent flooding doesn’t cause too much damage. 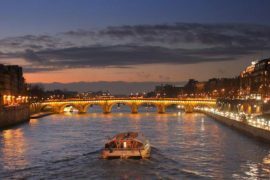 Very helpful post and seriously made me miss Paris, I love the food and wine and the museums are so wonderful! Paris has been on my bucket list for such a long time, thanks for making this list! Will be definitely looking more into it, awesome insight! Oh, so many… lovey post! How many days should you reserve to visit them all? I’ve never been to Paris, but it’s definitely on my list of places I want to visit. All of those museums look amazing. I absolutely love your list also I love everything Paris . The city has my heart forever. Your post is very informative. Love this! Whenever I do finally manage to make it to Paris, I’ll be sure to check out these museums! I was in Paris once, and I did manage to make it to the Louvre. My stay was too short to see any other museums, but I will make it back to Paris again and now I know some of the top places to visit. Paris has been on my bucketlist for so long! I will definitely be adding these to my ‘to-do’ list for when I do eventually get round to visiting. Very useful list, especially for a city jam packed with museums. I’ll make sure to have this handy when I visit Paris. Teah!! 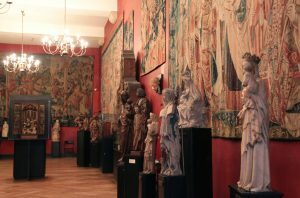 There are many tapestries there, and they are all very medieval, it is lovely! I’m a big, big museum person and do come to Paris to see exhibitions quite often. 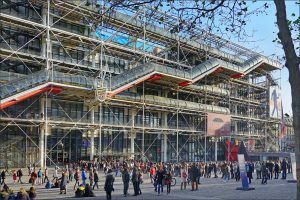 Therefore I think that it’s difficult to narrow it down to ten (that’s the problem with numbering) – how about the Palais de Tokyo and Musee d’Art Moderne next to it?! They have grand exhibitions! And although I like the Petit Palais, the Grand Palais houses the more important ones. Then I love the Fondations such as Cartier and Luis Vouitton – it’s nice that these people are investing all the money they make in art 😀 Yes, Paris is definitely one of the most important European cities when it comes to art. You’re so right that it can be overwhelming, especially when there’s so much to see. Admittedly, I’ve never been to a museum in Paris but I love the look of Louvre and will add it to my list of things to do in Paris for when I’m next there. I know how it is, I love to sit there and admire Louvre as well, it is beautiful inside and out! But definitely, if you have time, try visiting inside! The Louve is definitely the most desired place to visit. It is on my bucket list. I would love to go to all of them though. Those all look awesome! I love museums. Sounds like we’ll have to plan plenty of time to go to these places once we’re in Paris! Well, Louvre can be indeed very crowded sometimes, which is so annoying, but it is still so worthy visiting! There are some pieces there that are a must for those who love art, but definitely, it is not a museums to visit if you don’t have plenty of time and patience! My favourite is the Musee d’Orsay! I still need to go to the Musee Rodin though! Nice list! I would love to go to Paris!! I feel like I would need a good month, just to have time to see everything I want. If you really want to get to know Paris, yeah you would need a good month for that hahahha there are way too many things to do there! This is a great post – I didn’t even know some of these existed! Pinning it too! Very handy list! So hard to know which museum’s the one for you in these big capitals sometimes! I have no idea Paris has lots of museums! We’ve got lucky to get inside Louvre for free one time when it was a few minutes before closing time. Not sure if the ticket people were just lazy that time. But it’s worth a try that and see if it still works! We were really starstruck to see the Mona Lisa Painting in person. That’s a good tip! Who knows if it is not part of their policy, it would make sense since it would be unfair to charge people knowing they wouldn’t have time to see everything and enjoy their time there properly! Musée de l’Orangerie was fantastic, I loved the Monet-paintings. 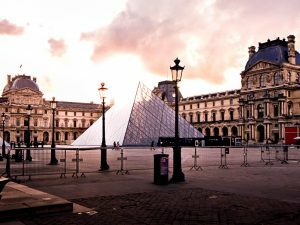 Great list of Museums in Paris! Unfortunately some of them are closed for restauration so i will need to be patient to re visit them again.